Southern Hancock students jumped on the haywagon when Dani’s Dreams honored the contributions of farmers Sept. 19. Nearly 40 children of all ages descended on Dani’s Dreams Outdoor Education Center to “Celebrate Our Farmers.” Local farmer Brian Kleiman talked about the technology and science of farming and answered questions from the students. The competition began soon after and teams took off on a Nature Scavenger Hunt, returning with fuzzy wooly worms, sticks, leaves and lots of beautiful things. 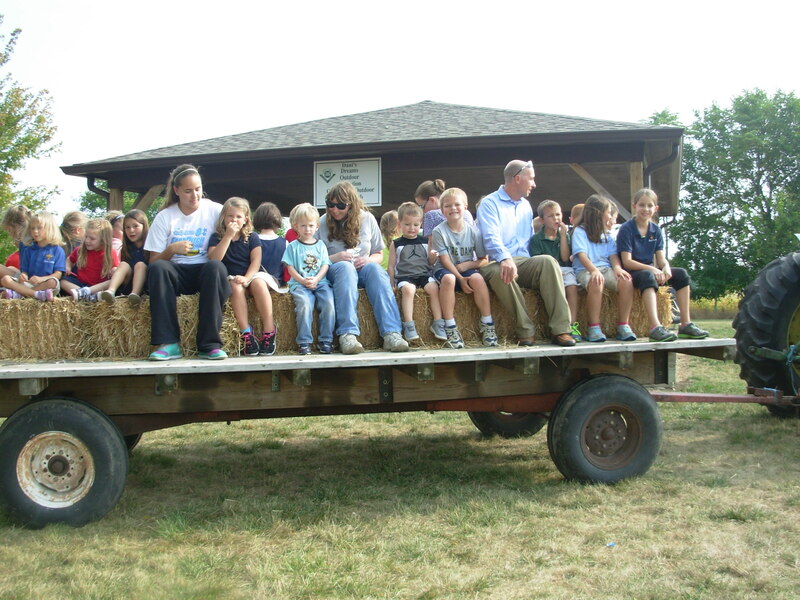 After a bountiful harvest of farmer’s market snacks, the afternoon event ended with a haywagon ride generously provided by local farmer Doug Schildmier. 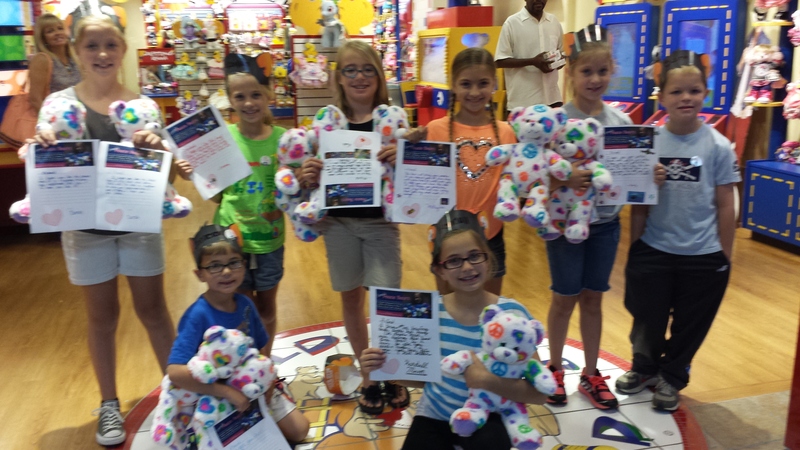 Dani’s Dreams Club members partnered with New Palestine Elementary fourth grader Emma Mann to build a dozen bears for her Peace Bear Project Fri. Oct 11 at the Castleton Build A Bear Workshop. Dani’s Dreams Outdoor Education Center received a grant from the Hancock Regional Hospital Foundation to purchase the bears that will be given to patients at the new Hancock Regional Cancer Center. Build A Bear also donated 10 Peace Bears to be distributed at the Hancock Regional Cancer Center. In addition to building the white Peace Bears, the students, from Sugar Creek and New Palestine elementary schools, including Emma, her sister Kendall, brother Cameron, friends Sadie Miller and McKaylah Flagle, and Dani’s Dreams Club members Sarah, Emily and Sam Adam wrote letters to the patients and will be delivering the bears personally. Despite chilly autumn weather, Dani’s Dreams warmed up those who attended Zion Lutheran School PTL’s Trunk or Treat Oct. 26 with make-your-own smores, complete with a fire to roast marshmallows. 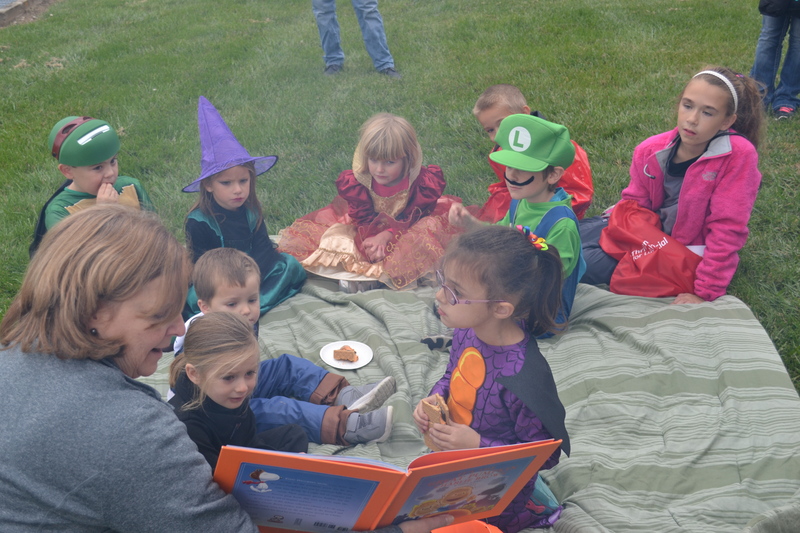 Director Donna Griffin also treated the children to a storytime rendition of, “It’s the Great Pumpkin, Charlie Brown”. Discovery was the name of the day Nov. 25 when Dani’s Dreams Outdoor Education Center took Zion Lutheran preschoolers on a special “Dig It” expedition. 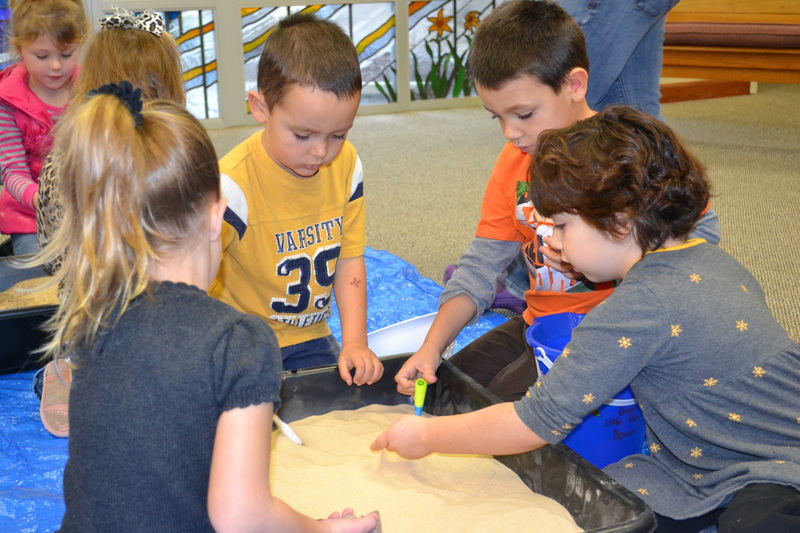 About 80 preschoolers became archaeologists and found “treasures” of the earth – rocks and minerals, gemstones, fossils and arrowheads. They then filed their collection reports and took home a favorite item to show their parents. Ol’ Man Winter paid an early visit to Dani’s Dreams Outdoor Education Center, arriving just in time for the “Get Ready for Winter” event Dec. 5 at Zion Lutheran School. 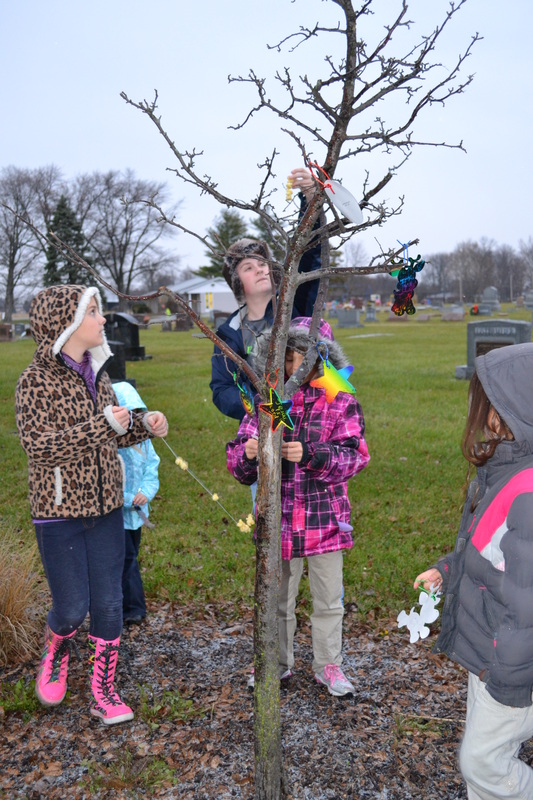 Children of all ages made ornaments, strung popcorn, painted bird houses and enjoyed dessert pizza from Mama Nitas and hot chocolate before venturing outside to decorate the trees and fill bird feeders in the snow. These activities were the last of a busy 2013 for Dani’s Dreams.